Looking for something different for your kids to try out this summer? Why not Kendo? Our City Club Dojo will be offering a short summer course for boys and girls (5 years and up) to try out Kendo, the Japanese Way of the Sword. Classes start on April 22, with a culminating activity on May 17. 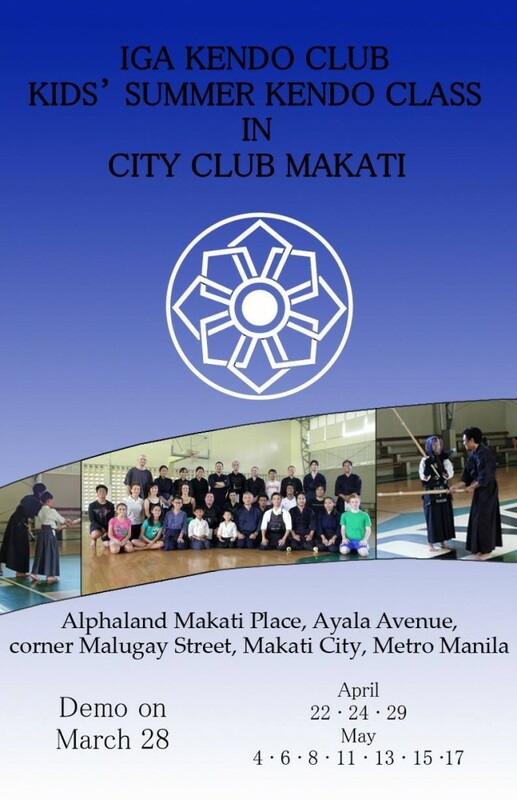 On Saturday, March 28, our Dasma Village Dojo members will conduct a demonstration in the City Club. If you are interested in enrolling your kids in the Summer Kendo Class, we encourage you to attend (with your kids of course), and watch the Dasma Kids (and Adults too) in action. You can also make your inquiries about the Summer Kendo Class before and after the demo. See you all in the Ciy Club! What: Demo Class featuring the Dasma Village Dojo Kids. 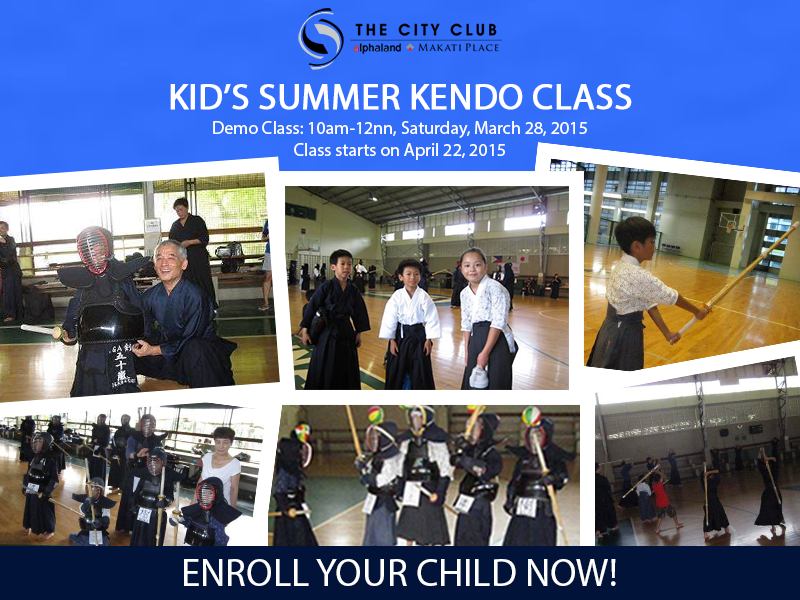 Parents can also make inquiries about the City Club Summer Kendo Class. This entry was posted in Events, Recruitment, Training Schedule and tagged beginner, City Club Dojo, Dasma Dojo, Iga ken, Iga Kendo, IGA Kendo Club, kendo, Kids Summer Class, training, training schedule. Bookmark the permalink.